Watch out - You are going to hear so much about this book over the coming months. It's an absolutely fabulous read and I for one am going to be recommending it left, right and centre. And watch out too - Lila, Nancy and Georgia are a fearsome trio of women with a complex friendship that is completely captivating! Loved Big Little Lies? Love Pretty Little Liars? Fancy a bit of Gossip Girl that's gone to the dark side? Want to read something as addictive as the latest box set on Netflix? Then read on....this is your book! This is a fantastic read about a very toxic trio of friends. Each character is heavily flawed - although with enough redemption and enough relatable aspects to make them intriguing so we want to read more about them, but ultimately they are a damaged crew. They are bitter, hurt, haunted throughout their adult life by the 'event' from their school days and their lives are a carefully constructed performance with a super shiny, polished veneer yet if you were to scratch the surface - or claw it away with your sharp nails, it's obvious that money certainly does not buy you happiness! The novel takes place over the course of one evening. This structure is effective, confidently managed and reminiscent of a Christie locked room murder mystery. The narrative is told from each of the characters' point of view and also alternates between 'Now' and 'Then' to reveal what happened to the girls at school. Not only is this a clever device for creating tension and suspense, it also makes the novel quite oppressive and with such a growing malevolent sense of threat that it really is unputdownable. The feeling that we are culminating towards some hideous end is accentuated by the fact everything is confined to one kitchen on one evening and focusses on a friendship which has trapped the girls rather than nurtured them. The unsettling atmosphere of fear and uneasiness is emphasised further with the descriptions of hangovers, drunkenness and nausea which were at times to so powerful I felt drunk myself. Reid really captures that unpleasant moment from when you've crossed the line and gone from relaxed and fuzzy to unleashing your thoughts without a filter and then that sudden dizziness and feeling of sickness. An absolutely perfect metaphor for reflecting not only the unravelling of the evening's events but also the girls' time at school and their friendship. Reid's ability to create authentic characters, a gripping plot which is perfectly executed as well as capturing the feeling of threat and danger is impressive. I loved the exploration of the way people gain power over each other, of how cruel they can be, how they can seek to hurt, humiliate and destroy each other and how precarious and fragile relationships can be. Despite the women all having what it takes to survive and each one as guilty or as flawed as the other, as the novel continues, our thoughts towards them become much more clouded and the reader finds themselves more conflicted about which character they feel more sympathetic towards and which is more vulnerable. It was great the way Reid gradually reveals more about the women's emotional struggles and misery. I love a book that provokes strong reactions to characters and can have you shouting at the pages - this book does that. I thought the passages about school were convincing and authentic. I have no experience of boarding school but we all have experience of cliques, elite friendship groups and our own school days. The girls precociousness, sense of entitlement, arrogance and empowerment is beautifully captured and enthralling. I also enjoyed the exploration of parenting - not only of the girls, but as they look to become parents themselves. There are some good questions raised in the narrative about how the girls were parented but also whether they deserve to become parents themselves. Other thought provoking questions are raised about friendships, education and power. But ultimately, it's just a bloody great read. I love a book that looks at the impact on one decision and how this can destroy a whole life. 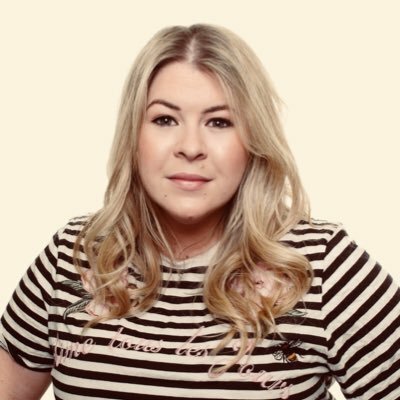 Gillian McAllister's Anything You Do Say is a fantastic example of this and I think Perfect Liars similarly captures the misery and sheer unhappiness following one ill thought through, panic stricken decision. Maybe there are even echoes to suggest it's a much darker, modern day Prime of Miss Jean Brodie. This book is a delicious exploration of the myths we create to protect ourselves, the effect of lies and unacknowledged truths and how it's impossible to bury a memory. 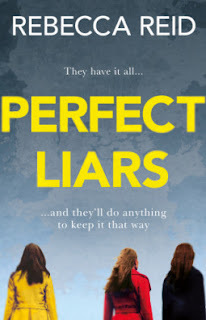 Perfect Liars is polished, confident, enthralling and just brilliant. I didn't want it to end. It's oppressive, sinister, malicious and utterly compelling. Can't recommend it enough! Rebecca Reid, I can't wait to see what you write next! Perfect Liars is published by Corgi in paperback on February 21st but available in ebook now. My thanks to the publisher for an advance copy. Rebecca is a freelance journalist who writes for The Telegraph, the Metro Online and has written for Marie Claire, the Guardian, Independent, Stylist, Glamour and the New Statesmen. She is a regular contributor to Sky News and This Morning as well as appearing on Radio 4 Woman's Hour.